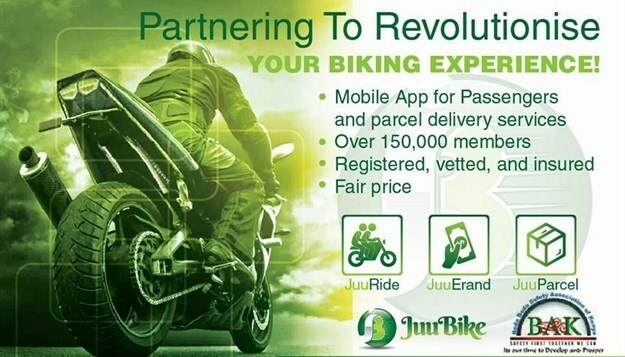 Boda Boda Safety Association of Kenya has launched a new app called JuuBike that will connect riders to customers in what the Association says will streamline the industry and inject discipline. Speaking in Nairobi when he condemned the ban of riders in Nairobi's CBD, the national chairman of the association, Kevin Mubadi, said they have 800,000 members who are ready to join the app, which will work the same way taxi-hailing apps work, but with additional services. "From the comfort of your seat, you will be able to order a ride, get courier services and enjoy the convenience," he said. The association, which says the app will be officially launched end of January, contracted a New Zealand-based company to develop the app. The association has set its eyes on empowering members by opening a financial institution. 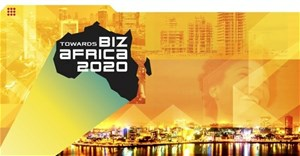 "We will structure the industry, introduce Sacco's, financial institutions etc. to change it," he said. The patron of the association Mohammed Shidiye said the industry has a big potential with over 1.2 million riders across the country. "It's a new industry, ballooning, and we are working to streamline the industry," he said. He further said that they are having talks with the National Health Insurance Fund (NHIF) to provide a facility that will cover their members. "We are talking with NHIF to provide cover for the riders. We are in the process of making the risky industry safer," he said. He said the informal industry just like others may have a few rogue elements but to condemn it wholly especially in a country that suffers from chronic unemployment is uncalled for. He said the sector has provided job opportunities for approximately five million dependents who rely on the over 1.2 million riders in Kenya. "We have members who are graduates, with Masters degree, because they have no jobs. We have members who work hard to feed their families and they have no time to engage in petty criminal activities," he said. With the rising cases of boda boda riders burning buses and taking the law into their hands, the association has already introduced a database that will have information of all the riders, and area of operation to make it easy for accountability. "They have not been getting justice from the police which has made them take the law into their hands. We are encouraging the members to report the cases of accidents so that the riders don't have to take laws into their hands," he said.